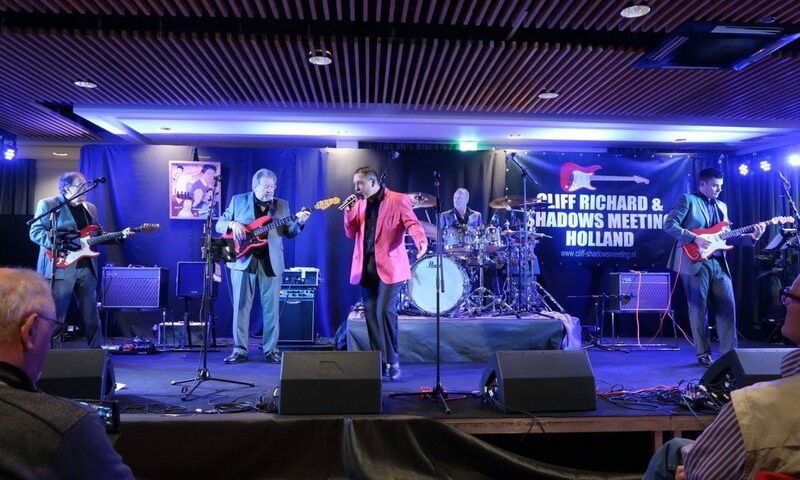 Cliff Richard and The Shadows Tribute plus Rock and Roll Band all in One! Lee Burley started his own band with his two sons, 12 years ago playing Shadows numbers, because nobody wanted to sing. 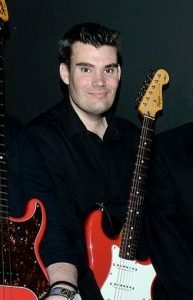 Since then he has played in many bands including ‘Abbey Rogues’ formerly a Beatles tribute band. He has played a lot of charity gigs. Fortunately, in 2011 his path crossed with Keith Robertson, and the two guys have formed a strong friendship – playing in several bands together since then. 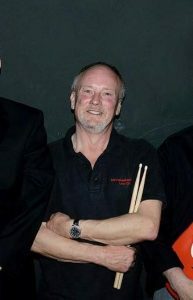 Keith says………….”Lee lives in the sixties, so he is the perfect drummer for the Wannabe Shadows”. “Inspired by the first Shadows LP I got as a kid, I was mesmerised by the sound of Jet Harris’s bass guitar. My first bass was a 50s Hofner President – a pretty ungainly beast it was too, but over the years as funds permitted I acquired a few more basses. I was a ‘follower’ of Steve Reynolds on his ‘You tube’ and ‘Fandalism’ videos, and really liked his authentic sound. A chance meeting one night in a studio car park, as we were both unloading to rehearse with our respective bands, got us talking, and I mentioned my love for all things Shadows! When Steve was beginning to put a new Shadows band together, he got in touch, and asked me to jam with him, and bring along a drummer pal of mine, who’s a 60s nut too, (obviously it was Lee) to see how it all sounded……….and that was the birth of the band which became the ‘Wannabe Shadows’. 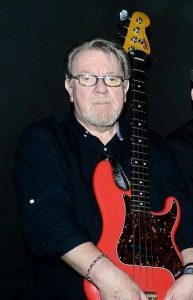 Unlike most lead guitarists of the Shadows style who were influenced by Hank Marvin, the man who started my desire to play guitar was Colin Pryce Jones from The Rapiers. I went to a Rapiers concert with my parents at about 8 years of age before i really knew who The Shadows were. They really blew me away and started a love affair with the shadows music. My first guitar was a ½ size acoustic guitar that used to belong to my sister. This guitar got me throught the basics but I always had a (Hank)ering for a real Fender Stratocaster and I finally got one in 2002 thanks to my Mum and Dad. I played in a couple of bands when I was at school but it wasn’t the sort of music I wanted to play, so when I left school I gave up and sold most of my guitar equipment but kept my Stratocaster. In 2009 I was watching Bruce Welch in a programme about the 60s and decided to get my Strat back out and begin playing again. I attended my local shadows club in Southend and began to learn a lot of the Shadows hits and developed my own style as well. I had a shadows band with some friends from our Shadows club however they were all in other bands so I began to consider setting up a new band with musicians from outside the shadows community. A chance meeting with Keith Robertson, led to the birth of the Wannabe Shadows. Having always loved the music of The Shadows and of that era in general I was thrilled when The Wannabe Shadows asked me to perform with them when their previous singer was unavailable. 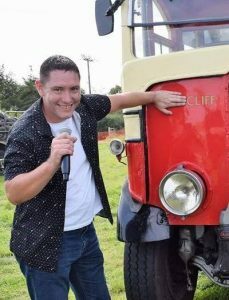 In July 2017 following their previous singer leaving i answered an ad on a musicians website and following a get together I was asked to join them full time, an opportunity that was too good to miss. Since then we have done a couple of shows together and the rest as they say is history. Inspired by that Shadows sound back in the magical 60’s, I was a guitarist in various semi-pro bands playing mainly rhythm guitar of a type, alas without much success. 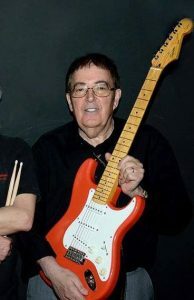 My interest waned for a few decades, until becoming a member of the Friends of the Shadows Guitar Club – Southend-on-Sea, following a Hank Marvin concert at Cliffs Pavilion Southend, this gave me the opportunity to live my dream of being a ‘Hank Marvin’ with the help of backing tracks as my band. Whilst on holiday in September 2014, I received an email sent out to club members by Steve Reynolds, seeking a Rhythm guitarist for his new band. It may have been too much sun, but I responded with my interest, and the rest is history.